Reading top leadership books is a very efficient way to acquire management knowledge and develop leadership skills. As a complement to formal management training and to working with a coach/mentor, reading management books offers handy doses of leadership knowledge and techniques – critical inputs to learn and improve your way to lead people and teams. 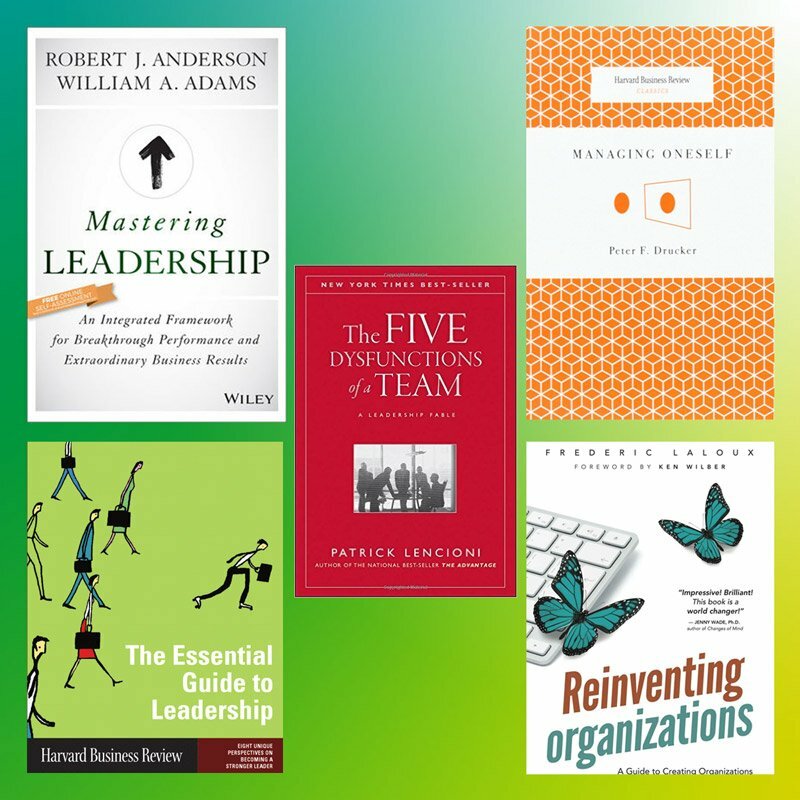 Given the abundant offer of leadership books and management articles, we present you our personal list of top leadership books in order to short-cut your search for great management literature. This list is a compilation of books that nurtured our thinking and decision making during critical moments of our leadership career. 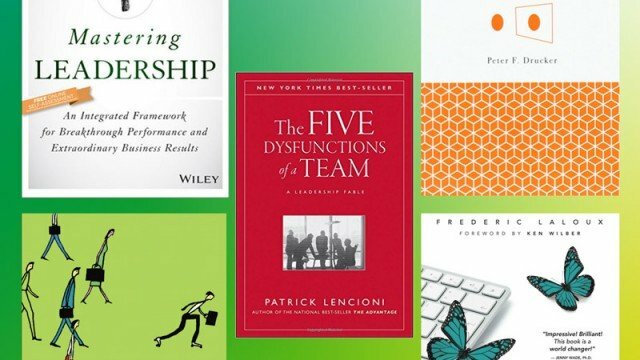 It contains 5 must read books for every leader – both experienced and early stage – covering topics from self-knowledge over leadership to team management and organizational models. When it comes to leadership, Peter Drucker is still one of the leading scientific references. He is considered the father of management of our times. Some months before his death, the Harvard Business Review published his management article “Managing Oneself” (available as download in PDF) which is a classic among leadership literature. In his leadership article, Drucker defends that self-knowledge is critical to a leader’s success. He does not refer to some superficial knowledge of oneself. Drucker refers to a “deep understanding of yourself”: you must know your personal values, be conscious of your strengths, understand how you tick, be aware of your ideal work environment in a broad sense, and finally know what you can contribute. The Harvard Business Review (HBR) compiled this selection of 8 articles on leadership. Including Drucker’s “Managing Oneself”, the articles are written by authors who are considered references in their field of expertise. The articles touch topics such as self-knowledge, types of leadership, the link between personal leadership and strategy execution, decision making, leadership skills and cross-cultural leadership. This quick read offers a whole bunch of leadership knowledge with practical tips to integrate the knowledge into your leadership. Note: Unfortunately it looks as though HBR stopped offering this compilation. Still you can buy it via 3rd party distributors.. Leading the management team and developing a team of direct reports is still one of leader’s key responsibilities. Given that there is tons of books on team dynamics and team management, how come that so many teams still struggle when it comes to collaborating and getting the most for the team rather than the most for some of the team members? In Lencioni’s leadership tale “The Five Dysfunctions of a Team“, the author outlines the root causes and typical dysfunctions of a team, and offers a simple – though not necessarily easy to implement – model and practical tools to fix them. All along the evolution of our human society, leadership has existed. In fact, each stage of the human evolution developed its predominant organizational model and its corresponding leadership model. In Reinventing Organizations, Frédéric Laloux revisits the prevailing types of leadership of each development phase and introduces the already emerging organizational model of our future society: the Teal Organization. In this decentralized, mostly self-managed, organic organization hierarchy nearly goes to zero. A framework with some clear rules defines the borders within which the members of the organization proactively take and adapt responsibilities, self-organize and take consulted decisions in an efficient manner. As a result, the organization’s purpose and its members’ purposes are aligned. Which leadership books do you recommend? Now it’s your turn: If you could recommend just one single leadership book every leader must read, which one would it be? Share your recommendation in a comment or in our social media pages. We are hungry for more top leadership literature in order to learn, improve and become better leaders. I thoroughly agree with the recommendation of Laloux’s “Reinventing Organisations”. Not only is it a thought-provoking and stumulating read about how organisations could look in the future, but also it is refreshing to read a book on leadership written by a European. If I have one to recommend, it is “Leadership and Self-Deception”, by the (American…) Arbinger Institute. Thanks for sharing! It’s definitely a great read! I love how it puts emotions and relationship first. Thanks again.